The Matter of Balance “Managing Concerns about Falls” is an 8-session workshop that is either in a 4-week, twice a week or 8-week, once a week form. Each session is 2 hours long and is designed to reduce the fear of falling and increase activity levels among older adults. Participants learn to set realistic goals to increase activity, change their environment to reduce fall risk factors, and learn simple exercises to increase strength and balance. 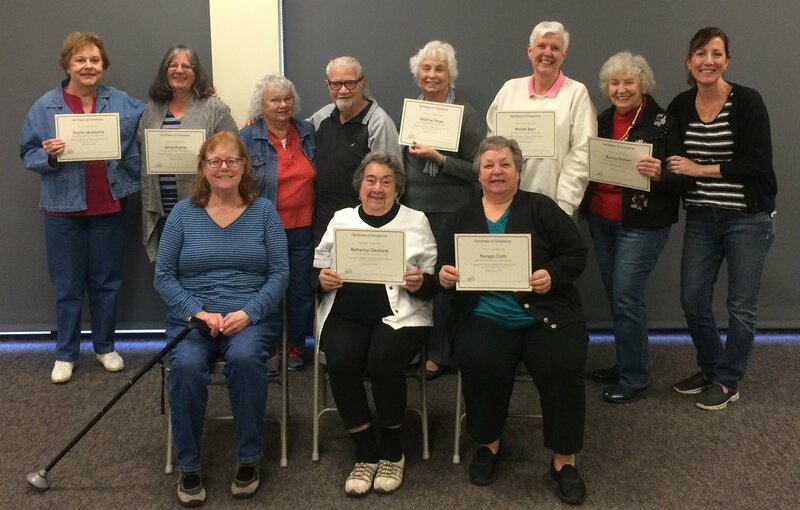 Senior Resource Alliance (SRA) hosted a Matter of Balance: Managing Concerns About Falls Workshop in October 2015 in which 11 people participated. The Matter of Balance Workshop is an evidence-based falls program which emphasizes practical coping strategies to reduce the fear of falling and increase activity levels. The Participants learn to view falls and fear of falling as controllable, set realistic goals to increase activity and change their environment to reduce the risk factors for falls. The workshop is conducted over eight sessions and is facilitated by volunteer peer leaders. One participant in this workshop said “This program has given me confidence and I now realize how important exercise is”, another participant said “Since beginning this workshop, I have more flexibility and I have learned tips to walking up and down stairs with confidence”.